In Cambodia, all news is good news. Or at least, all news broadcast in the media is good news. The lack of freedom of the press in Cambodia, Vietnam and other Southeast Asian countries is the topic of this year's week-long International Freedom-to-Write Literary Festival. The annual festival, started and run by the Program in Literary Arts and International Writers Project, begins on Monday at 4 p.m. in Smith-Buonanno 106 with readings by Vietnamese author Linh Dinh and American playwright David Rabe. "Every year, we have a fellow running some kind of (International Writers Project) literary festival about the art, culture and politics of that country or region," said Robert Coover, visiting professor of literary arts. "We choose our fellow on basis of need, of threat against him. Sometimes they are in exile," he said. The festival provides an opportunity to celebrate the fellow and also to "become more knowledgeable about the literature and culture of that nation," as well as the problems of the nation, said Gale Nelson MA'88, assistant director of the literary arts program. The focus on Cambodia and neighboring countries was sparked by this year's visiting fellow Tararith Kho. Hundreds of writers either apply or are nominated for the fellowship every year, but Kho's many impressive nominations — by groups like Poets, Essayists, Novelists, an international literary and human rights organization — solidified his selection. He stood out for his "energy and enthusiasm for literature and human rights," Nelson said. Kho was born to a family of rice farmers and was the "only one of his siblings who got out of that and got educated," Coover said. Kho has been very involved in helping others in Cambodia do the same, especially women who are trapped by tradition and unable to get an education, Coover added. "Freedom of speech is difficult to find in Cambodia," Kho said. "I promoted people to write about contemporary issues." Kho said the media in Cambodia is controlled by the country's high-ranking members of society. "Televisions, newspapers, magazines are all under the government," he said. As a result everyone only hears the same "good" news, he added. Kho's reading on Tuesday will be about the state of the media in Cambodia and how it has created a "cage" for writers. His efforts to "get the entrapped rice farmer people out of their circumstances" was seen as a threat in Cambodia, Coover said, and on occasion, Kho had to flee to the Thai border. Now if he returns to Cambodia, he will likely be arrested. Though Kho's family is here in the United States right now as well, he may have to return to Cambodia when his visa runs out. Kho said he did not want to talk badly about his country, but he wants life to change for the people of Cambodia. "Writers are simple, not fighters. We have no weapons," Kho said. The festival does not focus on Cambodia alone but also explores neighboring countries, especially Vietnam. "Cambodia and Vietnam have this really tangled history," Coover said. During the Vietnam War, the United States targeted both countries, and both countries also targeted each other, he said. After the end of the war, Vietnam invaded Cambodia. The goal of this year's festival is to "provide greater insight into the real nature" of Cambodian and Vietnamese relations, Coover added. A panel Thursday will explore these relations by bringing together Vietnamese and Cambodian writers and American veterans of the war. Other speakers for this festival were chosen based on their connections to Cambodia and neighboring countries, Nelson said. Coover said the speakers that were selected are "fellow workers in the field of protecting human rights and expression." 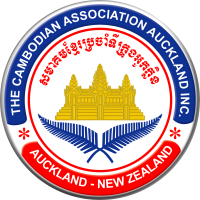 The hope is that this festival will promote "greater awareness" of the situation in Cambodia, he added. Kho said he hopes to help other writers who are receiving threats in response to their work. "Democracy is a human right," Kho said. "If I know myself how to fight for human rights, I want to do it." "Cambodian people did not know how to find people's help," he said, because they have no media and no network for contacting people from other countries. They are "living in a cage," he said, and can never open their eyes to see another world. Kho said that he hopes the festival will generate American support for Cambodia. "Americans must fight for Cambodia to have a new generation," he said. Stay up the great work! You recognize, a lot of individuals are searching around for this information, you could help them greatly.